Ajvar! 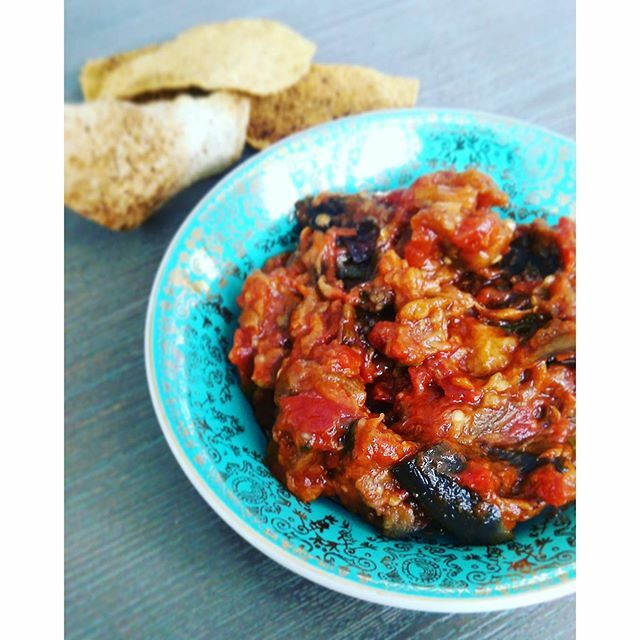 Caponata! Pindjur! If you're of North American descent, chances are, you've never heard any of these words. They're in fact three different condiments from various parts of the world, whose ingredients differ regionally. What they often share is a beautiful base of eggplant and tomato. Ah, the eggplant-tomato combo. Where have you been all my life? A few years ago, I realized that I actually enjoy eggplant. More recently, I discovered that I enjoy it even more when it marries with tomato to become a sweet and tangy sauce. 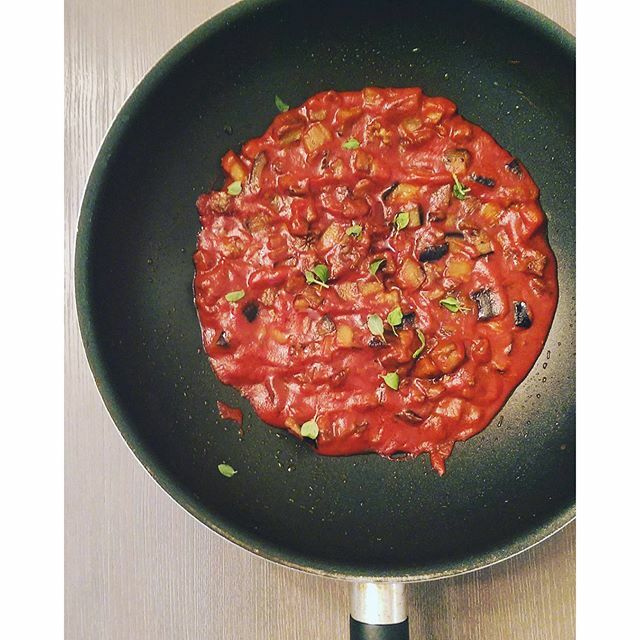 Today, I present to you my version of an eggplant-tomato sauce. No, it's not a babaganoush. And it's not quite a ratatouille. It's it's own thing, really, so I'll just refer to this as a "condiment" for now. I do wish I could eventually come up with a jazzier name, because this saucy spread really jazzes up whatever it touches. This "condiment" is great served hot, or cold, and is a wonderful topping for fresh bread or crackers. I also like to eat it on top of polenta (similar to a recipe in Ottolenghi's "Jerusalem"), or as a dip with pita chips. Enjoy this dish on it's own, or watch it transform into something new when mixed with thick yogurt. Toss in chickpeas to make it into a meal, and adjust the heat to your liking. It is truly a versatile food! Heat oil in large pan or wok. Cook eggplant over medium-high heat, until reduced in size and browned. Oil will first be absorbed, then will separate. Drain eggplant and return to pan with tomatoes, tomato juice and tomato paste. Add sugar, salt, lemon juice. Continue stirring until the mixture comes to a boil. Reduce heat and cook until eggplant and tomatoes begin to homogenize. Add herbs and chili sauce and cook for 2 more minutes. Serve warm or cold.